Munich - Their paths may not have crossed at the end of last season, but FC Bayern München coach Pep Guardiola and his predecessor Jupp Heynckes did eventually meet in the flesh on Friday. According to fcbayern.de, the pair “chatted animatedly" in their encounter at the Allianz Arena during Germany's over Austria in the FIFA World Cup Group C qualifier. Heynckes had been awarded the Fair ist mehr Fairplay Prize by the DFB (German Football Association) in Munich prior to the 2014 FIFA World Cup qualifier. DFB president Wolfgang Niersbach paid tribute to the 68-year-old’s distinguished career during the award ceremony, describing Heynckes as "a true role model, who has never been called before a DFB tribunal in his career". Bayern's former boss claims to be enjoying retirement. "I love it, because I'm now able to live," he joked. He spends a lot of time at his farm in the Schwalmtal, in the Lower Rhine, and does not lack for company there, either. "People often drop by to see me," revealed Heynckes, who walks his dog Cando every morning and works out in his personal gym three times a week. Heynckes remains in touch with his former players "via text and the odd phonecall". He recently sent a congratulatory text message after the Frenchman's 2012/13 UEFA Best Player in Europe Award and sent sporting director Matthias Sammer a birthday greeting. 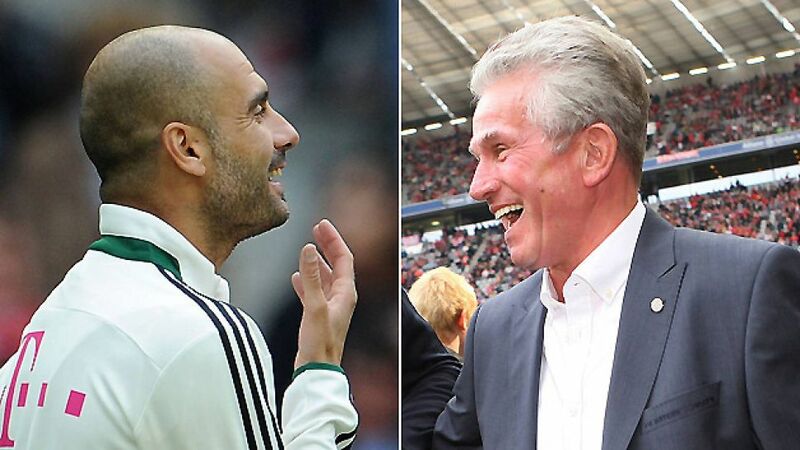 Heynckes also described Guardiola's decision to dedicate Bayern's over Chelsea FC to his predecessor as "a noble gesture that showed what type of person he is". His return to the Bavarian capital didn't all go smoothly, however, as Heynckes' luggage was nowhere to be seen when he arrived at Munich airport. "I guess the baggage handler in Düsseldorf was a Dortmund fan," he said with a chuckle.